Program Description: Caregivers' Support Groups are located in Regina and Saskatoon. It is a space for caregivers and family members of brain injury survivors to gather and learn as a community. 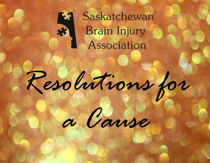 This event occurs every 2nd Tuesday of the month at 7:00pm at the Wascana Rehab Centre in Regina and every 4th Monday of the month at 7:00pm at the Sherbrooke Community Centre in Saskatoon. Both Caregiver Support Groups have a speaker or discussion topic at each meeting.